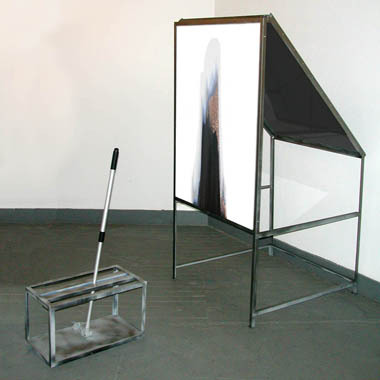 ChromaScape HSL is a interactive video installation, controller series part 1. ChromaScape HSL is an interactive video installation that uses real-time image processing to distort captured images with a unique image processing technique. The resultant video is displayed on a rear-projection screen. The user can change the amount of distortion by adjusting an aluminum lever. As the viewer stands in front of a white backdrop, he/she is captured by a web camera connected to a hidden CPU. The system continuously processes the video stream by sorting each column. The distortion is achieved solely by changing each pixels vertical placement. No pixels will be harmed in the making of this installation. 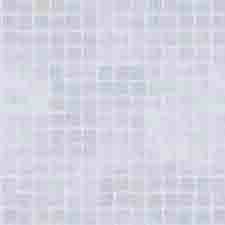 The viewer appears to be broken up into clusters of colors, grounded by shadows and under a cloud of highlights.